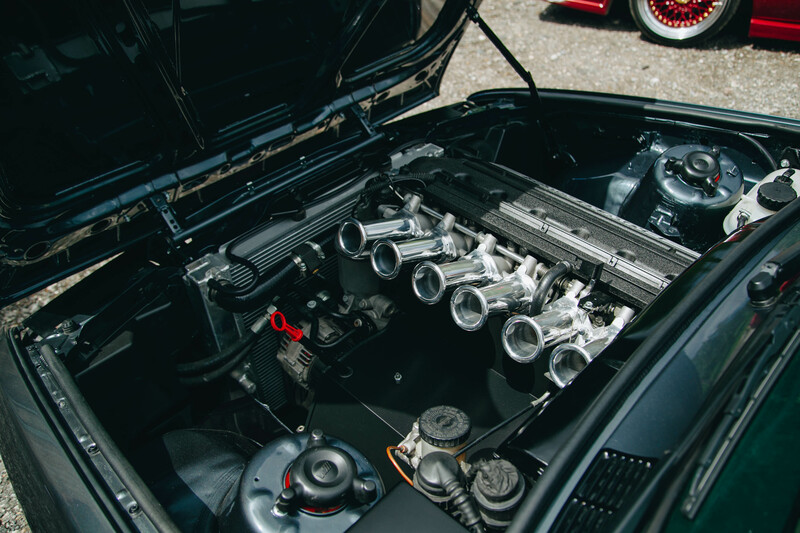 When the annual Wörthersee event comes around each year, we’re constantly on the lookout for the best Air Lift-equipped builds to showcase on our blog. 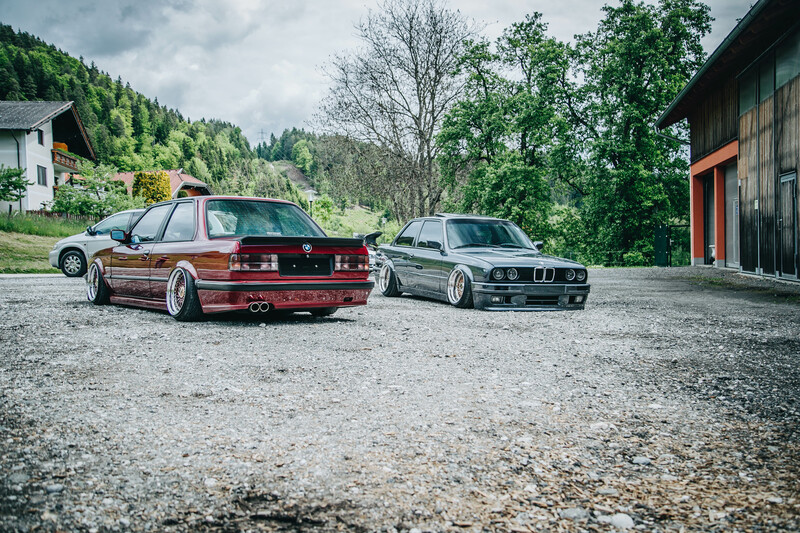 Needless to say, there’s absolutely no shortage of super-cool cars in the town of Velden, and these two gorgeous BMW E30s were too good not to feature! A pair of Norwegians, both named Morten, traveled thousands of miles from northern Europe to attend Wörthersee and show off their cars.. 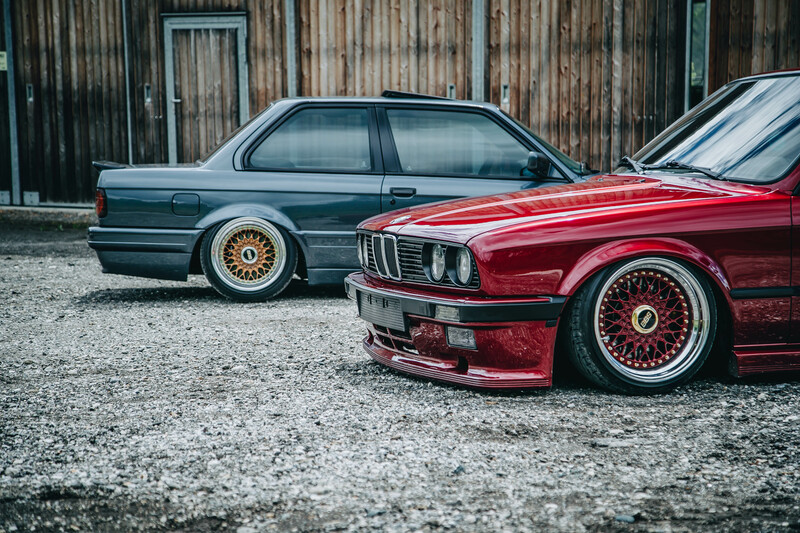 Both E30s utilize Air Lift Performance kits and air management systems – the grey E30 on our classic V2 management and the red equipped with 3P! Although similar in appearance, there are some pretty significant differences under the skin. 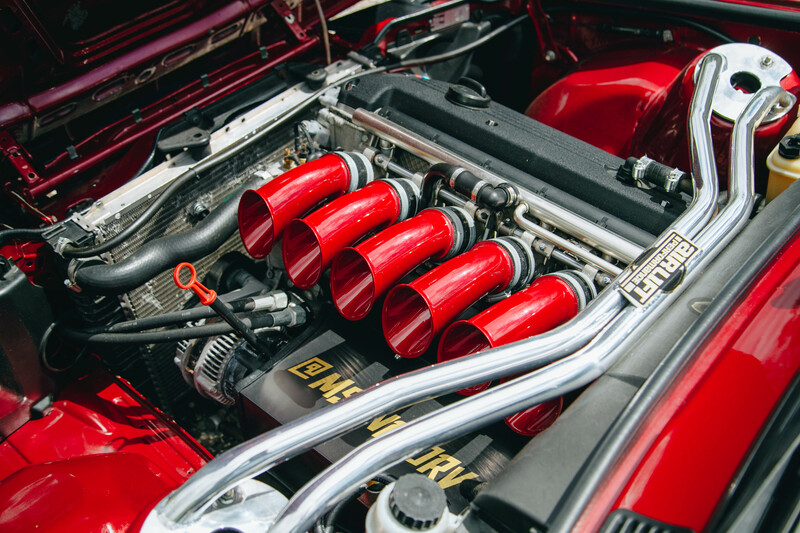 The red E30 can scream along the road, utilizing the S54 B32 motor (on throttle bodies, no less) with a 5-speed gearbox taken from the E36 M3. 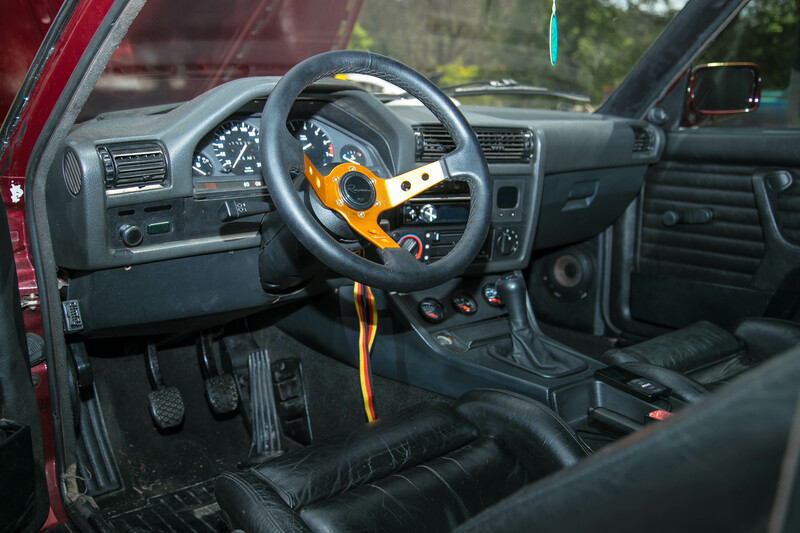 In fact, even the struts and brakes were taken from a donor E36 M3. 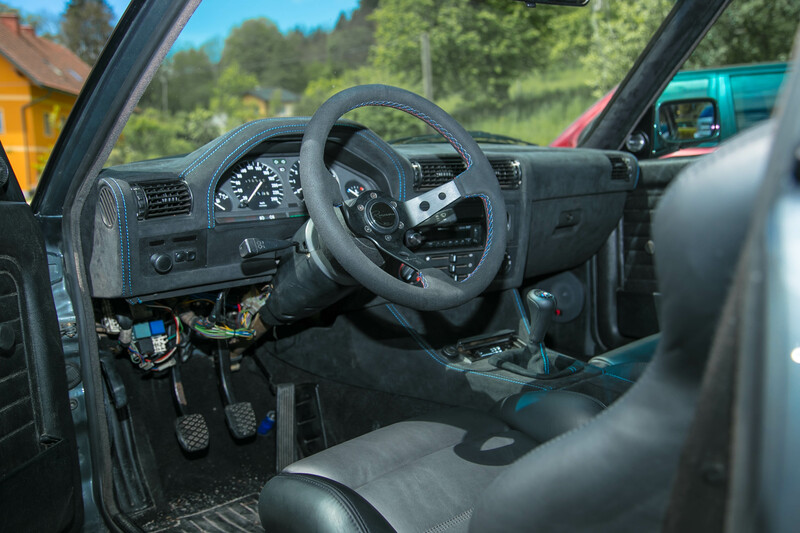 As for the grey E30, it features a S50 B32 motor and it runs on individual throttle bodies, all as a set of 16in BBS RS fill the massively extended arches. 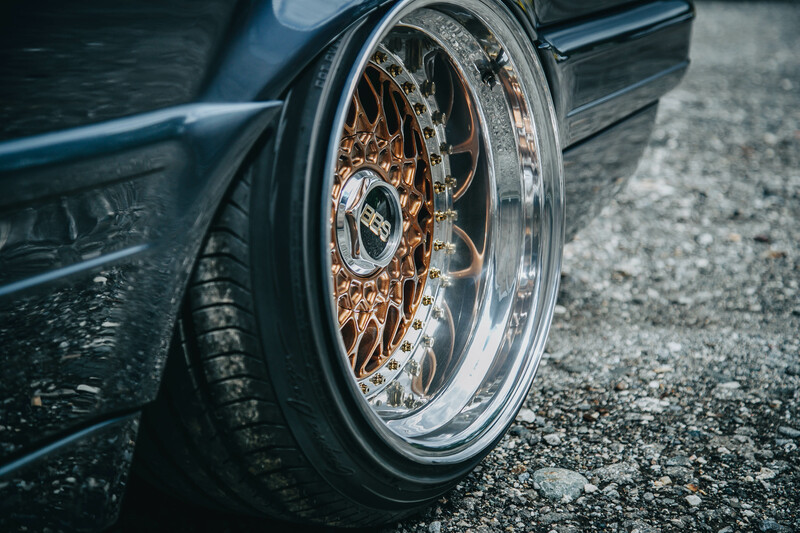 16x10in up front, 16x11in out back – serious girth. Seeing both these cars in this unique environment is an absolute dream for a lot of us, and we’d like to thank both guys for taking the time to let us feature their cars at Wörthersee 2017!